Just imagine if you could create the perfect place to live. Where the quality of life is extraordinary. Where you feel a true sense of community. Where being outside and taking in the picturesque views is just as enjoyable as curling up with your favorite book inside your beautiful town-home. Or just imagine that you could live in McDonough, Georgia, a city rich with history and charm and bustling with an array of activities. Where you escape the hectic lifestyle of the city. Where you unwind and soak up the sun on your porch or expansive terrace and enjoy a beautiful sunset. 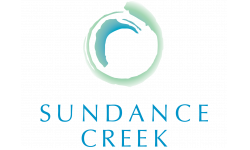 Well now you can…at the place to call home at Sundance Creek.